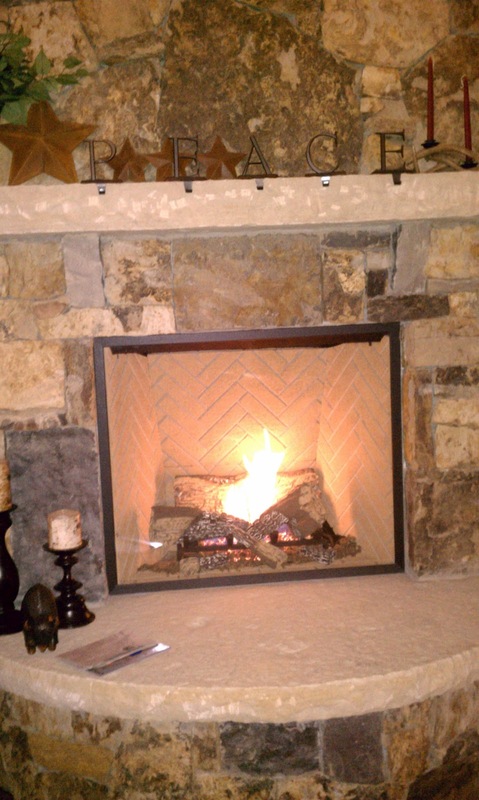 January 14 - Warm fire upon arrival in Breckenridge. 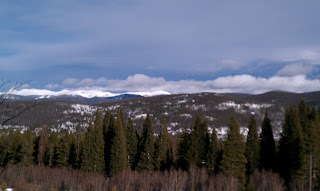 January 15 - Second ski day of the season, excellent day on the mountain with the youth followed by the hot tub, dinner and learning to play Halo 3 on Xbox and Star Wars on Wii. I have no skill in either game. 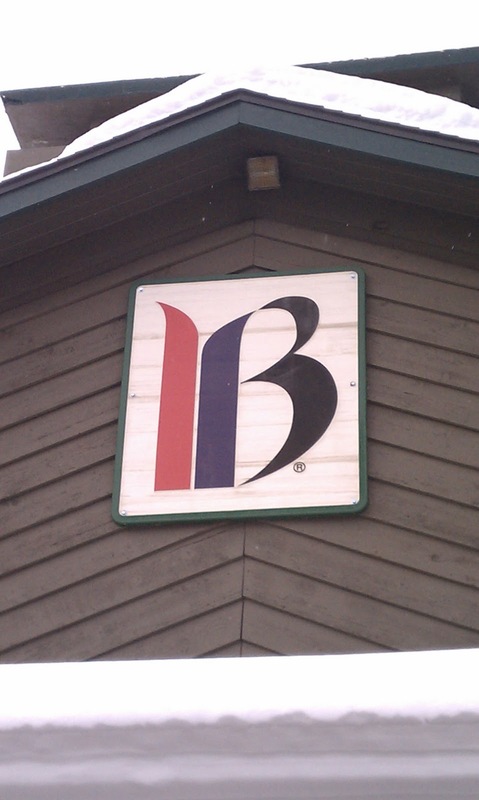 January 16 - Signs like these exist for a reason. 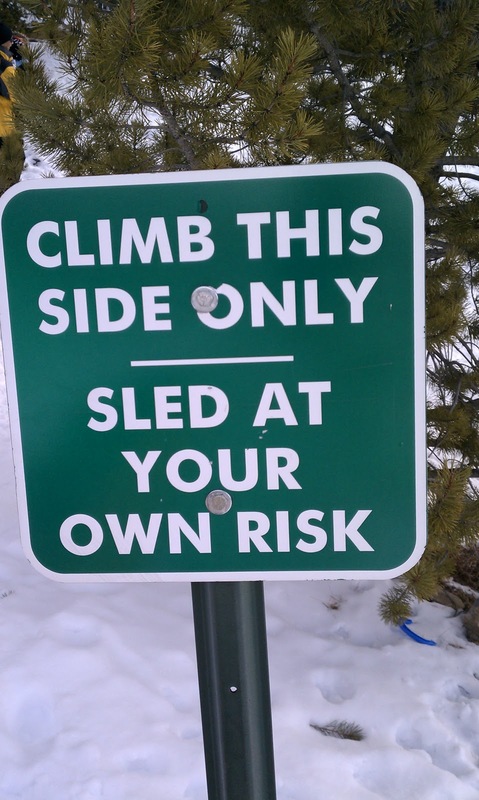 Our giant snow tube blob almost mowed down children who didn't heed this sign. 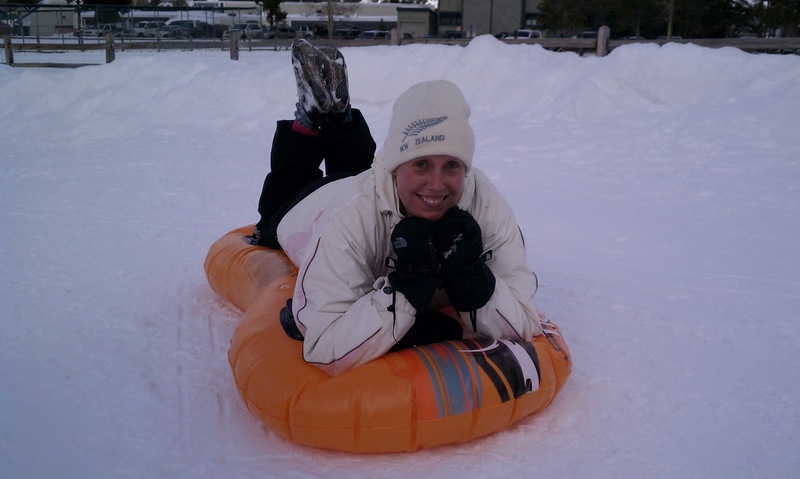 January 16 - First time sledding in a long time. 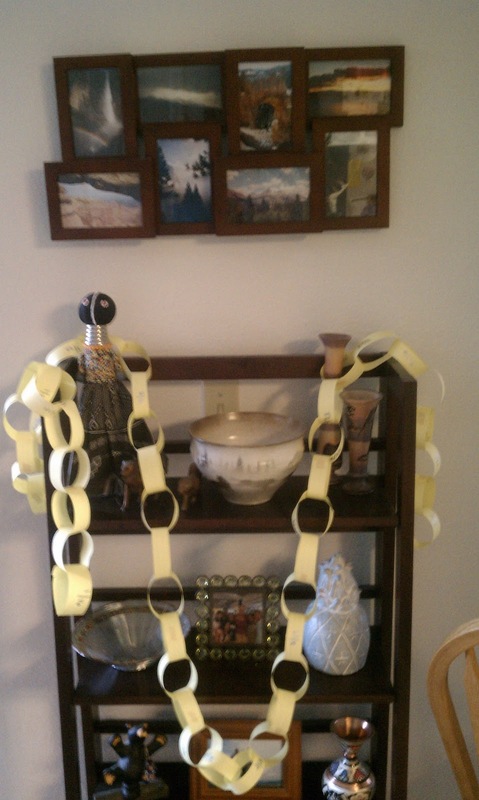 January 16 - Going to Tanzania countdown via paper chain. My sister had the weekend to herself and this was one of her many projects.